Tejash V. Sanchala is a skilled and sought after employment law attorney with more than 15 years of legal experience advising international Fortune 500 companies, executives, and employees on a wide range of employment law matters (e.g., sexual harassment, discrimination, minimum wage and overtime disputes, non-competition agreements, employment agreements and severance agreements). Mr. Sanchala has represented Fortune 500 companies and worked at large and boutique law firms. He has successfully handled complex matters in federal and state court as well as in alternative dispute forums. He has extensively represented employees and employers in a wide-range of employment law matters and has successfully advised emerging and well established companies in a range of corporate matters. Mr. Sanchala has prepared employee handbooks and policies and procedures. Mr. Sanchala has trained many executives and companies on employment law matters. He regularly lectures before companies, human resources professionals, employees and groups on state and federal employment law topics. Mr. Sanchala has spoken at programswhich provide continuing education credits for lawyers and human resources executives. Mr. Sanchala has drafted articles on employment law as well. Mr. Sanchala's perspectives on employment law issues have been sought by reporters and the media. Mr. Sanchala has a deep respect for the law and strongly advocates on behalf of his clients. He knows that his clients are very dependent on him to do the best he can and this is demonstrated in how he works with his clients, other attorneys, and the courts. Mr. Sanchala believes it is important to give back to his community and performs pro bono work for groups or individuals who are otherwise unable to obtain legal services. He has served on several Boards including the Westchester County Human Rights Commission where he served as a Commissioner and Chairperson of the Legislation Committee. In that role, he was a co-author and a strong advocate of legislation that expandedthe damages and remedies provisions of the Westchester County Human Rights Law. In addition, Mr. Sanchala served as Chairperson of the Westchester County Fair Housing Board. Mr. Sanchala was a co-author of Westchester County's Fair Housing Law. 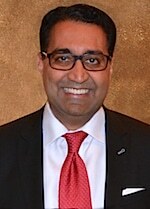 Mr. Sanchala is admitted to practice in New York, New Jersey and Connecticut. After graduating from New York University, Mr. Sanchala earned a scholarship at Brooklyn Law School.